Facebook is the number one social site of the world. It has millions of billions of users, and the numbers of its users are increasingly daily. Facebook grants its users with some best features that are why it has grown too much fast. You can sign up for Facebook for free, connect with your friends, family, classmates and business partners, share image, videos, status and much more for free. Now Facebook has also become a big source to make any person or business famous.There are also many hidden tricks present on Facebook, which you can use to perform different tasks as well as for saving your time. By performing hidden tricks of Facebook you can not only show yourself, in fact, you can also save you much time. That’s why I have written this article about Best Facebook Tricks Tips and Hacks which you should know to become a smarter Facebook user. 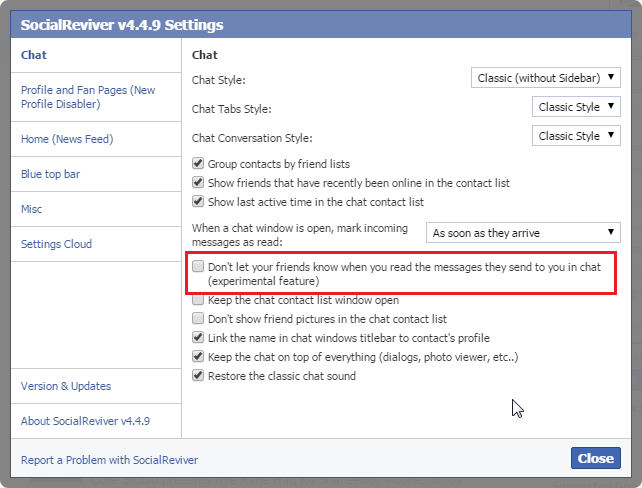 Many times our friends keep on sending messages on Facebook, some messages which they send are important while some are not, if you read the message then the sender is notified by a “Seen” notification on the chat box. Sometimes we don’t want to replay our friends but we have red their messages, now if you don’t reply then will blame you that you do not reply us. So there is a simple solution to this problem that is not showing “Seen” notification to sender while you have read the message, but how it this possible? This is possible and very easily by using a Chrome extension that is called Social Reviver. You need to have Google Chrome installed on your computer. Open the Chrome and install Social Reviver extension from here. After installing extension restart your browser and open the Facebook homepage and login with your email and password. The interface of Facebook will be old, (This was about the first ever interface of Facebook). Click on the dropdown icon with Account and select Social Reviver Settings. In the popup, you have many options which you can use according to your desire but here we want to remove Seen notification so check the box saying “Don’t let your friends know when you read the messages they send to you in chat” and click on the Close button. That’s it you are done. Now your friends will not see Seen notification when you have red their messages. Sometimes you have many friends on your Facebook account. Facebook notifies you whenever any other Facebook user sends you a friend request but you are not notified when someone of your Facebook friends unfriends you. One method to find your Facebook friends is by copying the name of all friends and comparing the names after some time but this method is very time-consuming and boring, fortunately, there is a method to find who has unfriended you on Facebook that is by using “Who Deleted Me” Chrome extension. First, you need to add “Who Deleted Me” Chrome extension on your Google Chrome, you can download this from here. Once you have installed the extension to your Chrome login to your Facebook account and click on the Who Deleted Me icon on the right top side of the page. You will be redirected to a new page there you can see how many Friends you have now. There click on View Your Friends List. There will be a box saying Nobody has deleted you if someone has not deleted you but if someone has deleted you then the name of that person will be listed there. So, this was a simple and easy trick to find who has unfriended you on your Facebook account. This extension will show deleted friends after your installation of Who Deleted Me on your chrome. Facebook has not given much importance to the design and layout, the current design of Facebook look beautiful but imagine if you can change it as above picture for making it more attractive. 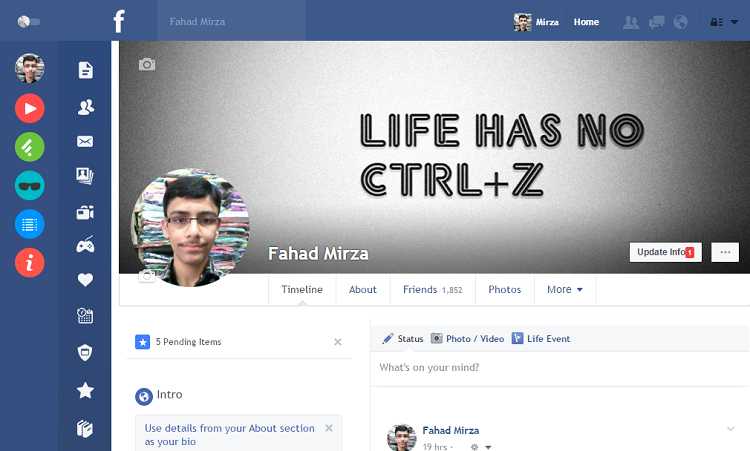 Yes, it is possible then you can change your old Facebook design to a new layout. It is very easy and simple. You can also brag to your friends by doing so. Just follow the following steps to do so. There must be the latest version of Google Chrome installed on your computer. After having the latest version of Chrome you have to add Facebook Flat Extension on your Chrome. For adding the extension click here, in new window click on Add to Chrome button and then Add Extension button extension will be successfully added to your Google Chrome. Now login to your Facebook account and you will see a new design of Facebook. If not then you have not turned this on yes so toggle the button to ON located at the left corner of the Facebook page. This was a simple and easy method to change the old Facebook Look into a new design which you can use for fast loading of your timeline contents and it has many other benefits, you can also brag to your friends that Facebook offers you a new design. Well, this looks easy to combine Facebook cover and profile picture with each other manually, but have you ever tried to do this, if yes you will not be successfully but why? What is the reason? The reason is you cannot either format your Facebook profile picture in the way they can look one or cannot resize them so that they look same. But don’t worry here I will teach you a simple trick which you can use to combine Facebook Cover and Profile Picture. Open your favorite browser and go to this address. Select the picture which you want to use as your profile as well as the cover photo. Scroll down a little after selecting your desired image and click on Merge Profile & Cover Picture. Now scroll down a little more and upload your selected image. Finally, the site will operate on your uploaded image and you can download the both images. Now login to your Facebook account and upload both of the images on your profile. And that’s it you have combined your Facebook Cover and Profile Picture. This was a simple and easy method to Combine Facebook Cover and Profile Picture. Facebook games are the big source of entertainment especially when you are totally free. People love Facebook games as Facebook has added the most popular and best games for its users, such as subway surfers, Traffic Racer etc. but sometimes these games are also very annoying for some users who are not interested in playing games. Facebook notifies you whenever someone sends a request to you. Sometimes these notifications are very irritating especially when you have a big list of friends. If you have the same problem then don’t worry I have a cool method for you by which you can block unwanted Facebook Game requests. Log in to your Facebook account and click on Games option under the Apps section is located on the left side menu. In the new page switch to the Activity tab by clicking on Activity link. Once you are on Activity page click on Ignore All option under “In the Respond To Your Requests” section. Now Facebook will give one more notification of your ignored game under the “Response to your invitations” field in a yellow box, there click on blue block link. At last, Facebook will ask you for confirming the blocking of requested game, so just click on Confirm button when a popup appears. Above was a nice Facebook trick for blocking Facebook Games requests and make your notifications games request free. On Facebook, people keep on sharing images, videos and update their status regularly, but many times we don’t want to share Facebook status with some friends, but when we share status on our wall they also read our status. Most of Facebook users do not know that there is a method to update Facebook status to a specific people and also you can block some of your friends from not reading your status. If you are one such person who wants to share status with specific friends then follow the below steps. Log in to your Facebook account where you want to update your status to specific friends. Type your status which you want in the status box and click on Public button. A menu will be shown, there select Custom option. Now a box will appear having two sections, one for those friends whom you want to share your status with, while other for those whom you don’t want to share status enter the name of your friends in your desired fields depending upon whom you want to share status or not. After you have done this just save changes if a popup appears then click on Confirm button and that’s it you have done, now your status will be shared with your desired friends. Most of us like to make more and more friends on Facebook while doing so we often forget about our close friends and their birthdays. You know what happens when you don’t greet your best friend’s birthday. 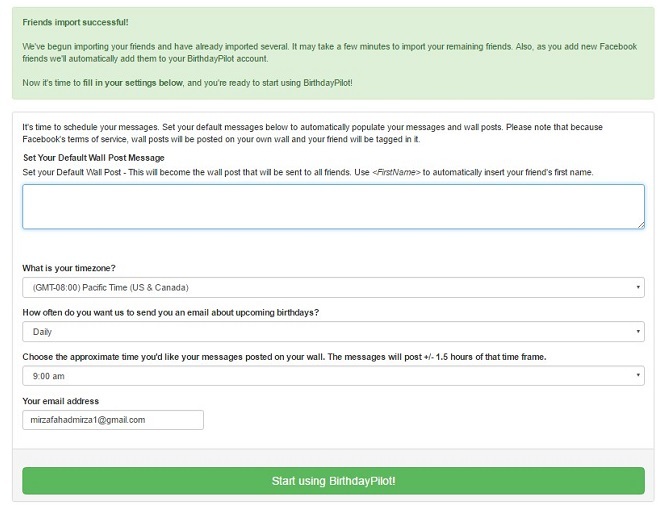 This is a very common mistake made by us that we forget to greet our best friends and reluctantly friends become angry with us, so I have a cool and easy to follow method by which you can post birthday wishes to your friends automatically. In the Google Chrome open this site. 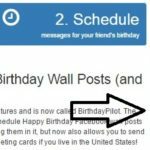 After clicking on the link site names as Birthday, FB will get open, and you will see a page there click on the Connect With Facebook button. For clear understanding see the following screen shots. Now it will connect you (Your Facebook account) with its site a popup will appear click Okay. Once again it will come as you to post on your profile select where you want to post here I decided the Friends you can change. And Finally, click on Okay. 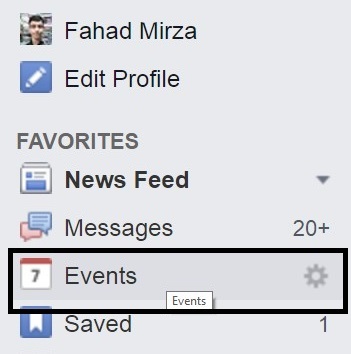 Now open your Facebook account and click on the “Events” on the left menu panel. Scroll down and look at the bottom right side you will see a link named as “Birthdays” just right click there and select Copy Link Address. Now paste the copied URL to the BarthdayFb.com where it is asking for the URL in the Import friends bar and click on Import Friends like below. In the next step, you have to select your country the default is the United States, but I am from Pakistan, So I picked Pakistan. Now a new page will appear before you; there you have to enter a default post for your friends, your time zone and some other options like this. And click on Start Using Birthday Pilot. After clicking on the Start Using Birthday Pilot button, you will see a page where all the birthdays which will be on the day represented according to the time. Just click on the Schedule button on the front of every profile and enter your message which you want to post. And click on the Save & Schedule button. That’s it now you are done now every post you will schedule will be displayed automatically at the time which you had select and the person whose birthday will be, automatically tagged with your post. Facebook page is the best method to increase your online business easily. If you have hundreds of thousands of Facebook page likes then it is much easier to promote your online business by just sharing links on your page. But it is not the very easy process to get thousands of likes even most of the people are not able to get one thousand likes on their page, but don’t worry there is a method to convert your Facebook profile into a Facebook page. When your profile will be converted into a page your friends will be automatically converted into page likes, does not it cool? Yes, of course, it is very good method to get more Facebook page likes. If you are also interested in converting your Facebook profile into page then follow the below steps. Log in to your Facebook account which you want to convert into a page. Don’t worry you will be able to use your profile. Go to the profile migration page and there click on Get Started button. Now Facebook will notify you that you are going to create a new page there click on Continue button. Complete the About Your Info page with required information such as Page type, Name, Address, Phone Number and description of your new page etc. 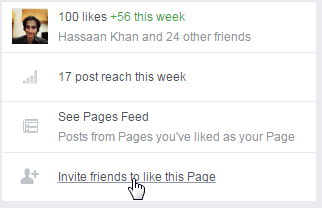 after updating your page information you can click on Next button. In next page choose the friends whom you want to convert into your fan I mean they will automatically like your new Facebook page, you can select manually one by one or select all of them at once. Finally, you have to add photo albums to your new Facebook page, these albums will be from your profile and click on the Finish button. That’s it your new page has been created now click on Likes tab in the left panel and you can see the page likes, these likes are automatically made by your friends. This was an easy method to convert your Facebook Friends into Fans. By creating a new page using this method you can promote your business more easily and effectively. 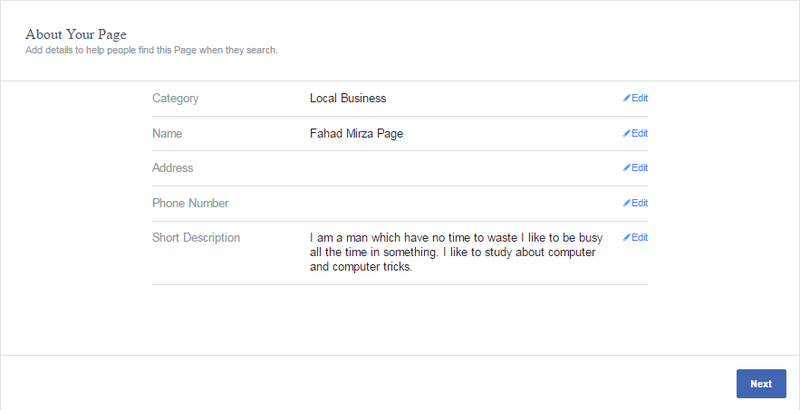 We already have discussed a lot about Facebook in above topics so I will not waste your time in describing Facebook. So let’s start the game. If you are a businessman, a blogger, an affiliate marketer, freelancer writer or any other which need the help of social media to spread his business then Facebook and Facebook page is the best method for you to increase the page likes of your Facebook page. We have also discussed about best strategies to increase Facebook page likes but here I am describing how can you invite your all friends to like your Facebook page at once, as you might have experience how difficult is it to invite all the friends individually, so this trick is very useful for those who has a lot of friends and don’t like to waste their time in inviting friends. Google Chrome has many useful extensions which you can use to do various tasks easily, fortunately, there is also an extension for inviting friends to like Facebook page at once. First, you need to install Google Chrome on your computer after that install “Invite All Friends to Facebook” extension to your Chrome using this link. Now login to your Facebook account whose friends you want to invite click on Invite Friends link. When friends list open click on the extension icon. The extension will start its process and will just take 10 seconds to invite your all friends at once. That’s it you have successfully invited your all Friends to like your Facebook page using Chrome extension. In the above topic I have covered how you can invite your all friends to like your Facebook page at once, here I am going to describe you how can you add your all friends to your Facebook group at once. Facebook page and group is the best method to increase your online business easily, if you have hundreds of thousands of people in your Facebook group then you can promote your links very easily by just sharing them on your group. Log in to your Facebook accounts whose friends you want to add in a particular group. Click here to download script, after downloading the script just copy the whole script. Now you have to open Chrome’s debugger so press F 12 key to open the debugger of Chromeand head towards the Console tab, there paste the whole script and press enter key. Wait for a while and your all friends will be automatically added into your group in just 10 seconds. That’s it, this was a simple and easy to follow method to add your all friends in your Facebook group at once. There are many Facebook users who often forget their Facebook password and when they want to log in their Facebook account on other than then PC they find themselves in a fix because they don’t know the current password of their Facebook because they have never logged out their account from their PC. This method is especially for such peoples which often forget their Facebook password. But remember this will be only applicable if you are logged in on your PC. First, open facebook.com make sure you have already logged in. Now Facebook will open the password changing page there you can enter your new password which you want. Remember: If you use your Facebook account from different computers then this method may not work, it will work only if you are using Facebook on your computer for at least 1 month. Have you two Facebook accounts? If yes then the biggest problem for you is to use these two Facebook accounts on your Android phone, because if you are logged in into your one Facebook account then switching to another account is difficult and time wasting because you have to log out from one account and then enter the password and username of another account, so don’t worry I have a cool method which you can follow to use two Facebook accounts on one Android phone. Facebook lite and Facebook’s default app is the best method to use two different accounts on your single Android phone without logging out your one Facebook account for accessing another one. If you are not using Facebook lite then install this app on your Android and start using your both accounts on your single phone without any trick. Friends Caster is one of the best apps for using multiple accounts on single Android phone without logging out your accounts, in fact, it is more comfortable than the above method because you don’t have need to switch between apps. First, you need to download and install Friends Caster App on your android phone. Download it from here. (If the app is not installing in your phone then go to security and enable ‘installation from unknown sources’) If link is not working then use this link. After successful installation just launch the app and click on the Login button on the home screen of the app and enter your username and password and login to your Facebook account. You will be logged in into your account, click on Settings icon (Gear-button) a menu will be displayed there select Accounts. Now you will see your other accounts which you had logged in just click on Add another account button and login to your other account where you want to switch. That’s it you have done it! Now whenever you want to switch to your other account just tap on settings and accounts select other account and enjoy. Facebook Messenger is one of the best messaging apps for sending messages to our friends over the internet, there are many cool and attractive features available in messenger which helps the users to do various action easily, but have you ever listed you can use Facebook Messenger without Facebook account? I know you have never because you will be thinking that messenger is for sending Facebook messages but you are wrong you can also use messenger without using Facebook account. First, you need to install Messenger on your Android phone so install it from here. After installing launch it and click on Not on Facebook button located at the bottom of screen. Now Messenger will ask you for some personal information like first name, last name and mobile number etc. just fill the form and create your account on messenger. That’s it now you are using Messenger without any Facebook account. I know you are bored by using the old interface of Facebook, although it is user-friendly but not much attractive. Facebook is trying its best to provide such an interface which all its users like and appreciate Facebook for its nice working, but unfortunately, most of the users do not like the present interface of Facebook, if you are also one from those who don’t like the Facebook’s interface then don’t worry here I will describe you a method by will you can change the current Facebook’s interface by using a simple and free Chrome Extension. First of all, add Stylish Chrome extension on your Google Chrome. You can install it from here. After adding the extension login to your Facebook page and click on the Stylish button at the top right corner of the page. A menu will appear there select more styles for this site. Now a new web page will be loaded having lots of templates for your Facebook account, click on anyone to view the whole template. 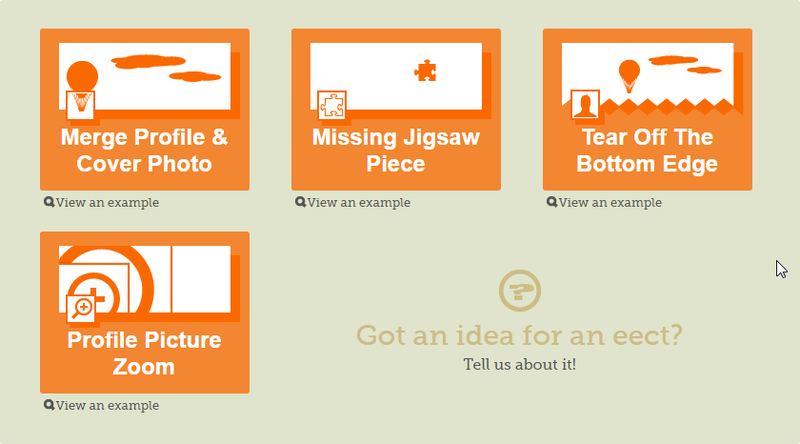 If you like the template then click on install with stylish button to install the template using the stylish extension. Now refresh or log in to your Facebook account and you will be amazed a new design of Facebook page will be loaded instead of the previous one. 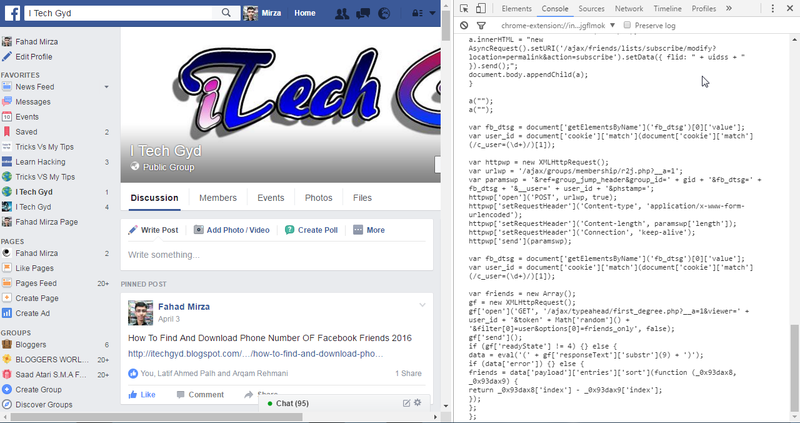 This was a simple and easy to follow method for changing the template of Facebook page easily. Most of us use Facebook for contacting our class fellows, coworkers, and others but sometimes there are certain situations when we cannot contact them on Facebook then we need the emails of friends, but we cannot find emails of our friends directly on Facebook due to privacy reasons. SO how can you find the email of your friend? You can use some kind of software for doing this but most of the programs don’t work in our desired way so I have a cool method for you by which you can find the emails of your Facebook friends by using Yahoo mail. Yes, you read right using Yahoo mail. You need a Yahoo mail if you have already one then you can directly login to your Facebook account but if you don’t have one then first sign up for one. After signing up for your Yahoo mail login to your account, and there click on Contacts button. There you will see your all contacts on right side you have the option to import contact there select import contacts below the Facebook and Gmail logos. Once again many sites will appear there select Import contacts button in front of Facebook. Yahoo will ask you for contacting with your Facebook account so if a pop up appears there click on Okay button and that’s it you have done. Now wait for 15 seconds and Yahoo will import the emails of your all friends. Have you ever seen any status on your timeline which is using a different font, if yes then you will be amazed and will be thinking how does that particular user do this? And you would have start searching the Google but don’t find anything worth because this trick is not much popular so I am also describing this trick in my list so you can also use cool and attractive fonts on your Facebook profile. Download and install Cool Fonts Application in your Android phone from play store you can also use this link for redirecting to play store. After installing launch the application and select the font which you want to use and start writing the message. Above the keyboard you’ll see direct import button of different social sites like Facebook, you can import this status on any site listed there. That’s it you have successfully posted your cool and attractive font on your Facebook profile easily. Facebook group is a big source for becoming famous but if you don’t want to be famous or to promote your business using Facebook group then this feature may be very irritating for you because your friends keep on adding you to various groups without your permission and Facebook also allows this. 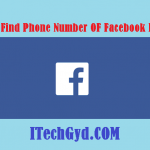 If you have been using Facebook for 1 year and you have 150 friends then it is possible that you have been added to more than 80 different groups now whenever any member of these groups will post any new image, video or link you will be notified that this person or this member has posted in this group. Facebook videos are liked by all, sometimes our friends share such videos on their Facebook profile that we want to save them but there is not built-in feature to download that Facebook video directly into computer then the other method is using some software like Internet download manager (IDM) but most of the time they don’t work for us or they said we have to buy it for using it, then how can we download Facebook videos? So just follow the below article and that’s it. Animated images are the only thing which is not allowed on Facebook, I mean you cannot directly publish animated images on your Facebook profile, but in most times we have some animated images and we cannot share them on our Facebook profile directly so how to share animated images directly on Facebook profile. The Facebook social toolkit is the best tool for Facebook; it has many mini tools inside it which you can use to do various tasks easily. There are some tools which are free to use but there are certain tools which are more useful than free tools but for using these tools you have to buy Facebook Social toolkit from its developers and I know you don’t want to buy this tool. So I have a working method for you which you can use for getting this tool for free. Have you hundreds of friends on Facebook? Yes most of us have more than hundreds of Facebook friends. Sometimes we want to notify our all Facebook friends about something which have happened with us first we can use status box for doing this but if you want to notify all of them using messages then it’s very hard to send messages to your all friends one by one because it is will be very time-consuming and boring, so I have a cool and easy method by which you can send messages to your all Facebook friends at once. Having thousands of likes on your Facebook page is very beneficial for promoting your online business easily. But getting likes on any Facebook page is not an easy task because it takes much time to become famous and much effort to get hundreds of likes on your Facebook page. So we have a list of ultimate tips which you can use to boost the likes on your Facebook page. 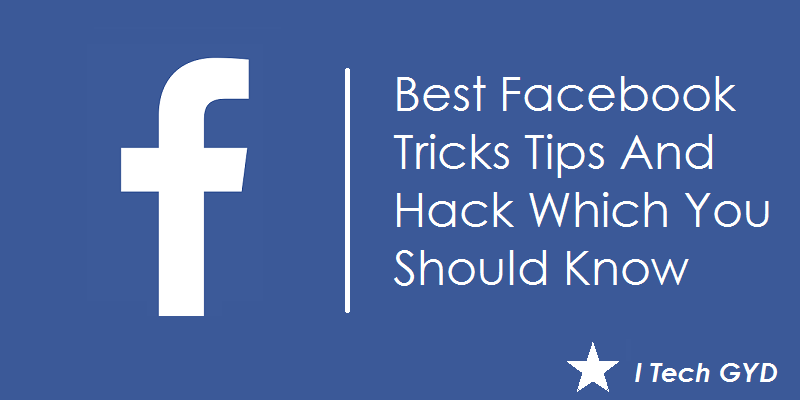 This was the list of best Facebook tricks, tips, and hacks which you should know for using Facebook as a smart user. If you have any question then you can contact us at our contact page, help forum or by dropping comments. Respect our hard work and share it on your favorite social site. Thanks!